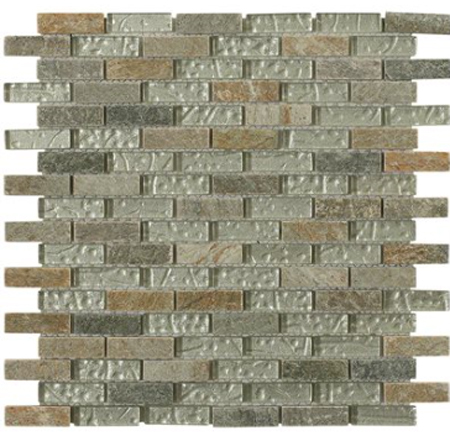 Approximate Tile Size :12" x 12"
This stunning Silver Leaf Autumn Slate Brick mosaic features the richness and rustic element of slate, paired alongside radiant silver leaf pieces. Incorporate both history and sparkle in your design by adding this to your next project. Perfect for kitchen back splashes, shower enclosures and more, this mosaic is the easiest choice you'll have made in a very long time!